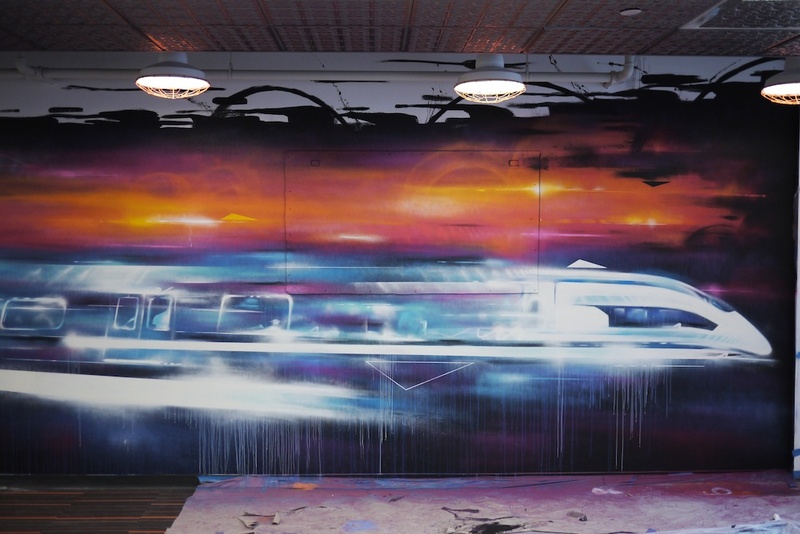 I was recently invited to paint a mural for the new offices of Rapid 7 in downtown Boston. 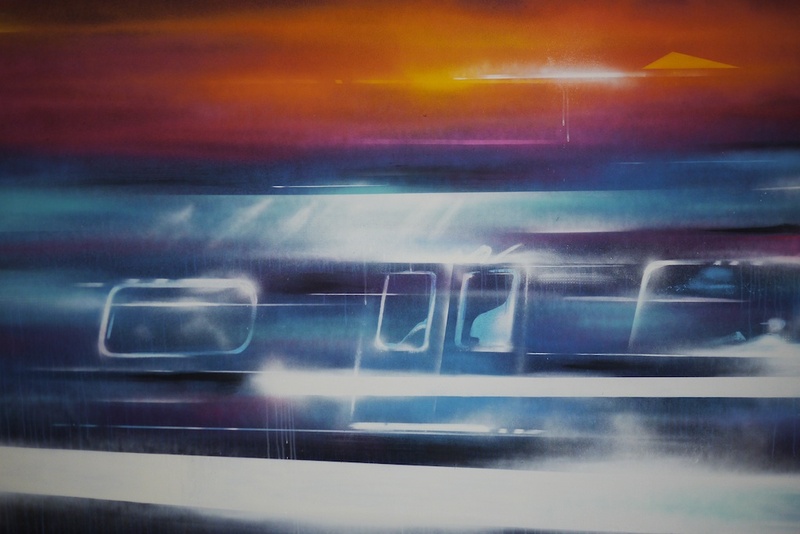 I was asked to work with the image of a train, ala New Yorks Rapid Transit trains where the company got its namesake, and blend it with my signature “motion painting”. 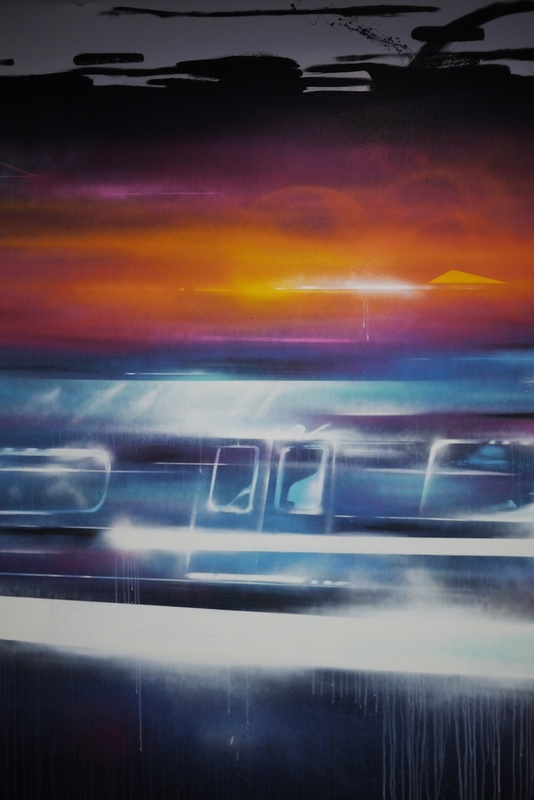 The result was pretty exciting for me, as I do not usually work with representational objects much anymore, but that may have to change after this one. 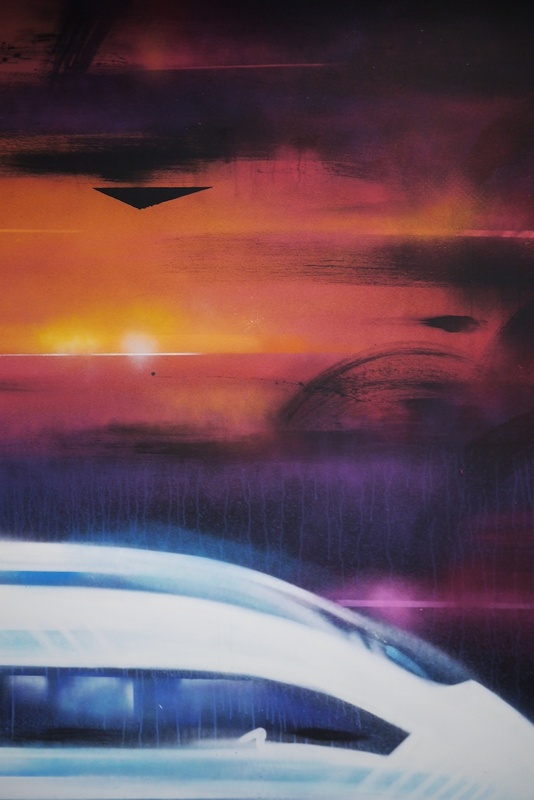 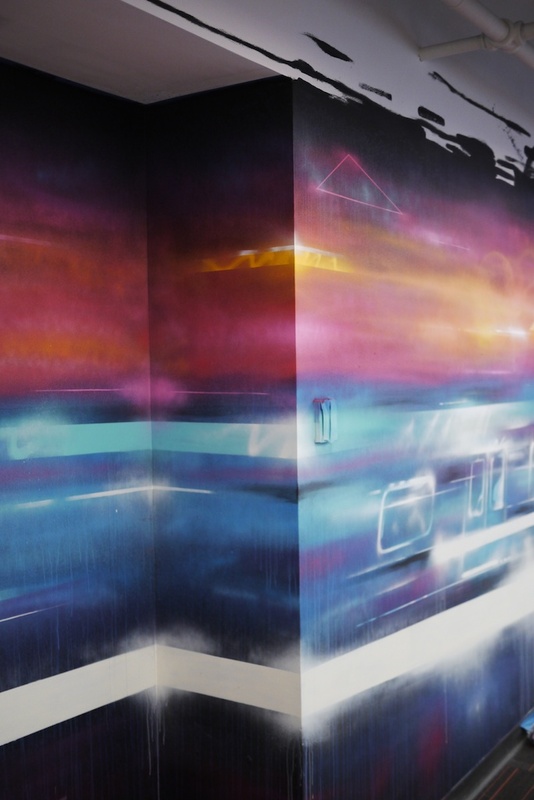 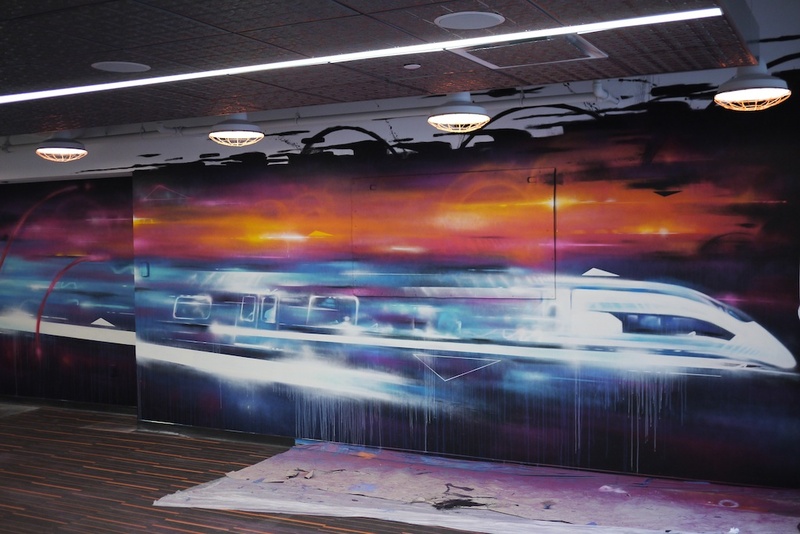 April 14, 2014 | Filed under commissions, murals and tagged with art, artist, commission, corporate art commission, corporate mural art, custom artwork, custom mural, dana woulfe, mural, rapid 7.